Installation/performance at Moderna Museet, Stockholm, Sweden. 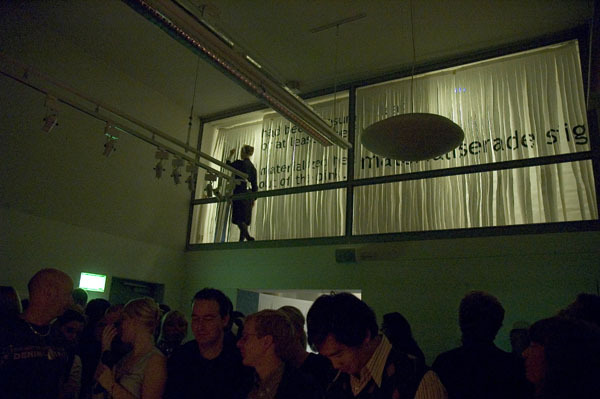 The artpiece consists of 3 levels of paper curtains, 15 metres x 2.5 m each with a text drawn in ink. The text describes a woman who returns or materializes. The curtains (the story) were revealed gradually by two mime artist. The work related to a retrospective exhibition with Meret Oppenheim, going on at the same time in the museum.